The CLEI Center for Keratoconus, directed by Peter S. Hersh, M.D., is one of the few subspecialty institutions in the world dedicated to treating patients with keratoconus. Now over 15 years old, it was formally inaugurated in 2002 by The Cornea and Laser Eye Institute - Hersh Vision Group. The goal of the Center is to provide the keratoconus patient with expert, state-of-the-art diagnostic, therapeutic, and surgical services covering all aspects of keratoconic care. At The CLEI Center for Keratoconus, we bring our patients all available options to manage your KC in the best possible way... for all aspects of the disease... over the long term. 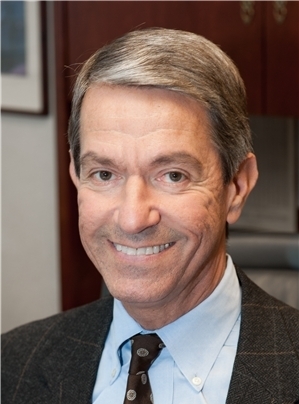 The CLEI Center for Keratoconus is directed by Peter S. Hersh, M.D., winner of the National Keratoconus Foundation's 2017 Patient's Choice Award. Dr. Hersh is a graduate of Princeton University, Johns Hopkins Medical School, and Harvard Medical School's ophthalmology residency and corneal surgery fellowship programs. He is one of the world's leading practioners and researchers in KC. In fact, he authored the clinical trial leading to FDA approval of corneal crosslinking in the United States. The CLEI Center for Keratoconus offers patients access to many years of experience and the most advanced techniques, technologies, and research. At the CLEI Center for Keratoconus, we are proud of our professional staff who are experts in all aspects of corneal disease, specialty contact lens fittings, and the full range of cornea and refractive surgery procedures for the treatment of keratoconus. Our patients can trust that their examination will fully assess their problem and that the best plan devised from the full range of treatment options will be made available. With our common goal to treat the keratoconus patient in the best way possible and to discover better treatments in the future, we welcome you our website and center.